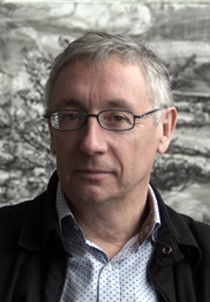 Kevin Volans’ work is regularly performed and broadcast worldwide. In the last 35 years he has worked with quartets: Kronos, Smith Quartet, Duke Quartet, Arditti Quartet, pianists: Barry Douglas, Marc-André Hamlin, Peter Donohoe, Jill Richards, conductors: Michael Tilson Thomas, Marek Janowski, Alan Buribayev, Yan Pascal Tortelier, orchestras: the San Francisco Symphony, BBC Symphony, Bayerische Rundfunk Symphonieorchester, Royal Flemish Philharmonic, BBC Singers, percussionists: Robyn Schulkowsky, Jonny Axelsson, SISU and many others, as well as dance companies including Siobhan Davies, Shobana Jeyasingh, White Oak, Jonathan Burrows and artists William Kentridge, Jürgen Partenheimer, Jose-Manuel Ballester. Some 40 CDs of his music are currently available. Principal performances in the last years include the Berliner Musikfest, Vienna State Opera, the Salzburger Festspiele, the Lincoln Center NY, Dokumenta Kassel, the Pompidou Centre Paris, Concertgebouw Amsterdam, Kunstmuseum Bonn, the Chicago Institute of Fine Arts, the Edinburgh Festival, the Barbican, South Bank Centre, Wigmore Hall, London and several times in the BBC Proms. He was born in Pietermaritzburg, South Africa, and studied at the University of the Witwatersrand with later with Karlheinz Stockhausen and Mauricio Kagel in Cologne. He moved to Ireland in 1986 and has been an Irish citizen since 1994. He lives in Co. Cork. After a productive collaboration with the Kronos quartet in the 1980s his work, principally in the field of chamber and orchestral music, has been regularly performed worldwide. The Kronos discs, White Man Sleeps and Pieces of Africa broke all records for string quartet disc sales. In 1997 the BBC Music Magazine listed him as one of the 50 most important living composers and he was described by the Village Voice (New York) as “one of the most original and unpredictable voices on the planet”. In 1999 the South Bank in London hosted a 50th birthday celebration of his work and for his 60th the Wigmore Hall in London organised a “Kevin Volans Day” of concerts. Subsequent to this latter event he was given the Royal Philharmonic Society Music Award. He has been the featured composer in several European festivals of contemporary music. There are a number of important premieres upcoming in 2016, particularly his String Quartet No.12, played by the Signum Quartet, and his fourth Piano Concerto, performed by Barry Douglas and Birmingham Contemporary Music Group. Kevin Volans will also be the featured composer in Contempuls Festival, Prague this November, with two further premieres of works for percussion and piano.